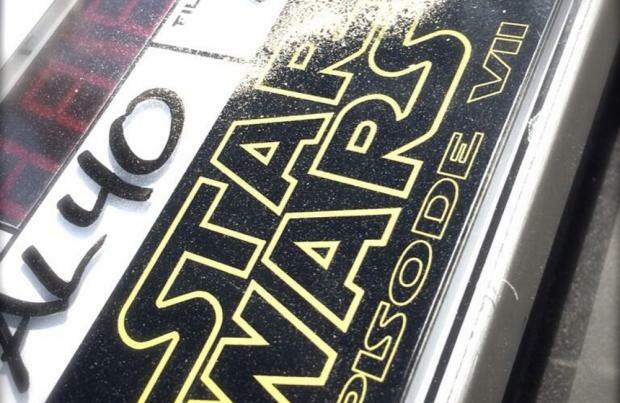 Filming has begun on 'Star Wars: Episode VII'. After months of anticipation, J.J Abrams' new instalment of the legendary sci-fi movie franchise has started shooting in Abu Dhabi today (16.05.14). Filming will then continue at Pinewood Studios in Buckinghamshire where the majority of the movie will be shot. It is the first time Emmy Award-winning director Abrams - who made his name shooting the 'Star Trek' reboot and cult TV series 'Lost' - has shot a movie outside of the US. Filming has commenced just weeks after the final cast line-up was announced. Many cast members from the original trilogy such as Harrison Ford, Carrie Fisher, Mark Hamill, Anthony Daniels, Peter Mayhew and Kenny Baker will all return to the franchise, while previously rumoured, John Boyega, Adam Driver and Andy Serkis will also have roles in the movie. In addition, 'Mr. Selfridge' actress Daisy Ridley, 'Inside Llewyn Davis' actor Oscar Isaac, 'Harry Potter and the Deathly Hallows' star Domhnall Gleeson and Swedish actor Max von Sydow have also been confirmed as appearing. Abrams previously said: "We are so excited to finally share the cast of 'Star Wars: Episode VII'.